Thousands turned to social media about his retirement since the justice had been a mainstay on the court for 30 years after being nominated by President Ronald Reagan. 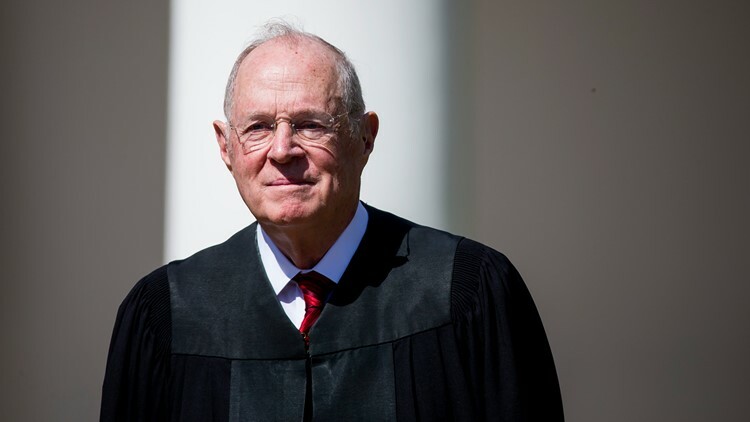 On Wednesday, longtime swing-vote Justice Anthony Kennedy announced he will be stepping down from the Supreme Court at the age of 81. Thousands turned to social media about his retirement since the justice had been a mainstay on the court for 30 years after being nominated by President Ronald Reagan. His retirement is believed by many to bring a fundamental change. Many people are tending to look at Kennedy’s retirement from two different extremes. If you're more conservative, this is great because President Donald Trump will now have a second appointee with a Republican Majority Senate on his side. If you're more liberal, it's not ideal because this could take the balance out of the court and potentially overturn cases that had already been decided. Now, all eyes are on who President Trump will appoint. In his retirement letter, Kennedy said he’ll leave his seat at the end of July which is just two months before the new term begins in October. Emory law professor Jonathan Nash expects we’ll see a nomination in the next few weeks. This means we could be dealing with an eight-justice setting leaving room for a tie. U.S. Supreme Court Associate Justice Anthony Kennedy is seen during a ceremony in the Rose Garden at the White House April 10, 2017 in Washington, DC. President Trump already has a list of prospects and said he’s added five more. On that list are two Georgia choices, Justice Keith Blackwell and Justice Britt Grant from the Georgia Supreme Court. As for their chances of being chosen, there is always a possibility. However, Nash said they usually look for someone who’s had experience on a federal court before. Now, some are concerned what this new balance on the court could mean for cases like Roe v. Wade, gay marriage, and abortion rights. “I think that’s very likely,” Laura Simmons said. Simmons is with NARAL, a group that fights for gender equality and reproductive freedom in Georgia. “Make no mistake - the right to access abortion in this country is on the line. President Trump has promised to only appoint justices who will overturn Roe v. Wade. With Justice Kennedy’s retirement, he now has the opportunity to do just that. I cannot overstate how dangerous that would be for millions of women across this country. Nash said you never know how a person will actually vote once they’re on the court and he thinks no matter who the President picks, someone will re-emerge as the swing-vote.